The family of a drive-by shooting victim had a claim for funeral compensation rejected multiple times because of an initial witness report that he was dealing drugs. The Massachusetts Attorney General's Office approved it after NBC Boston Investigators asked questions. Sharon Baker doesn't like to come to the cemetery. But it's where she left her baby boy. "He was cold, his lips were big," she recalled. After several denials, pressure from advocates, and questioning by the NBC Boston Investigators, Baker tells us the Massachusetts Attorney General's Office just reversed its rejection of Baker's request for special crime victim funding. Attorney General Maura Healey's office initially denied Baker, whose 23-year-old son, Tyrell, was killed in a drive-by shooting five years ago in Brockton, from the state's Victims of Violent Crime Compensation fund, which helps pay for funeral and other services for those killed in violent crimes. Push for Victims Compensation Fund Changes in Mass. Advocates want Massachusetts lawmakers to reconsider state regulations to the Victims of Violent Crime Compensation Fund, which helps families pay for funerals and other services. "I didn't know what to do," Baker said. "I didn't know who to turn to." Initially, witnesses told police Tyrell Baker was involved in a drug deal. The victim compensation fund is filled not with tax dollars, but with fines and fees paid by those convicted of crimes. According to state regulations, the fund explicitly restricts help for the families of those deemed to have "provoked or contributed to the victim's injuries." "The circumstances may be what they are," Healey said. "We do the very best that we can, and we're looking to maximize relief for victims and their families." Given those witness reports, the attorney general's office, which oversees the $4 million fund, rejected Baker's claim for funeral expenses. "As far as him being a drug dealer, he just does not, does not fit the description," Baker said. Less than 20-percent of the Puerto Rico has power following the devastation from Hurricane Maria, but the governor is hoping that reaches 30-percent by the end of the month and 95-percent in December. But there are questions after a group of Massachusetts officers were sent home early from their mission because of a side-trip to check on an officer’s family. The men say they had permission but still got sent home. Now they’re looking for answers. She appealed the attorney general's decision and was denied again, even though the Plymouth County District Attorney's Office told the attorney general's office that Tyrell Baker wasn't part of any drug deal. In a letter, Plymouth County District Attorney Timothy Cruz wrote, "Our office has always viewed Baker as a totally innocent party in this case." Healey would not speak about the specifics of Baker's case - or any other - to protect victims' privacy. "Well, I think we're following the law and the statute and the guidelines and will continue to do that," Healey said. "I can't speak to any one specific case or matter. I know I'm committed to working as expeditiously as possible to get resources and funds directly in the hands of those who have been victims of violent crime or their families." The so-called "crime clause" in the victim's fund regulations is getting a second look. A second look that Healey supports. Danielle Bennett of the Louis D. Brown Peace Institute helps families navigate the application process. She said she is concerned that this kind of treatment "is destroying families" because the restriction often hangs the sins of the child on the families. "The families who are left behind trying to pick up the pieces and figure out their next steps in life, and how they're going to lay their loved ones down with dignity and respect," she said. "Those are the ones they should be looking at as the ones who need support. Me having to tell a mother that her son was not worth more than two cents is very harmful, and that's the impact. That's how they feel." 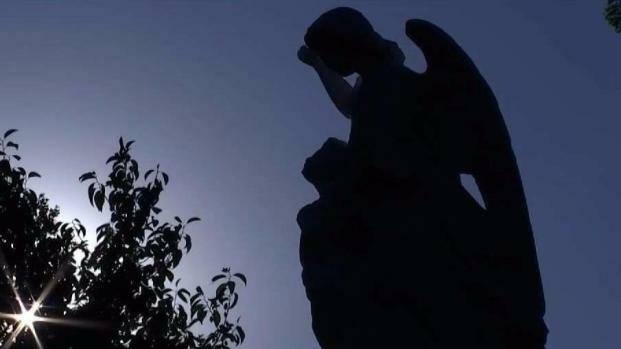 For those denied, local funeral homes wind up bearing the burden. "Everybody has the right to a decent burial," said Ricardo Jean-Charles, director of Dolan Funeral Home in Dorchester and Milton. "The person's already gone," he said. "Their life has already been taken. No matter what they did, it shouldn't make a difference." The fund pays up to $8,000 for funerals, and businesses like Dolan, which often float the bill in hopes of the families getting a victims' compensation payment, can be on the hook for tens of thousands of dollars a year. "If you're waiting on that kind of money, you still have bills to pay," he said. Data shows in the last three fiscal years, the "crime clause" accounted for about 15 percent of all denials, more than twice the national average, at 7 percent. "I haven't seen those numbers," said Healey. "Frankly, I wasn't even aware of our numbers. I just know that my Victims' Comp team works hard to work directly with families." Victims' advocates have some notable allies for reform, including the Suffolk County District Attorney and Boston Police Commissioner William Evans. "I know the law enforcement is the hardened line approach, but if we don't get these people the services, then how do they get their lives together?" Evans asked. He also framed it as a matter of building bonds between police and residents, arguing that blocking families erodes trust. One case still pending with the attorney general's office is from the mother of Burrell Ramsey-White. He was shot and killed by a Boston Police officer after investigators say he pulled a gun on the officer. Evans said the man's family should not be held responsible for his actions. "That was their baby at one time. That was their son," Evans said. "And to penalize the victim's family — everyone shouldn't be the loser here." Sharon Baker felt like she lost dignity. She held fundraisers to pay for the funeral. They weren't enough. 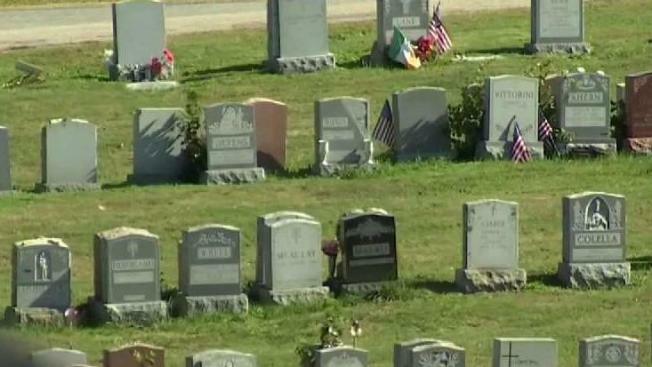 She was in debt and still had $400 left to pay on her son's headstone. "It put me in a place I don't want to be at," she said. "But because of my child, I'd do anything." After the NBC Boston Investigators started asking questions, Baker said she received a phone call from the attorney general's office. Her application will now be approved. And advocates like Bennett pressured lawmakers to introduce a bill at the State House to remove the contributory factor or crime clause. If approved, Massachusetts would be the first state in the nation to make that change. The attorney general said she would support the change.